Cristiano Toraldo di Francia was born in Florence in 1941. After High School he enrolled at the University where he graduated in Architecture in the academic year 1967-68 with a thesis entitled “Holiday machine on the Calabrian coast,” which next year was published by Domus n ° 479 and JID n ° 170: its drawings are now part of Centre Pompidou and MAXXI collections. In December 1966 he founded Superstudio with his colleague Adolfo Natalini and participated in the first exhibition of Superarchitettura, which was documented by Domus and Architectural Design and was rebuilt for the exhibit at Galleria Carla Sozzani in April 2007 in Milan. 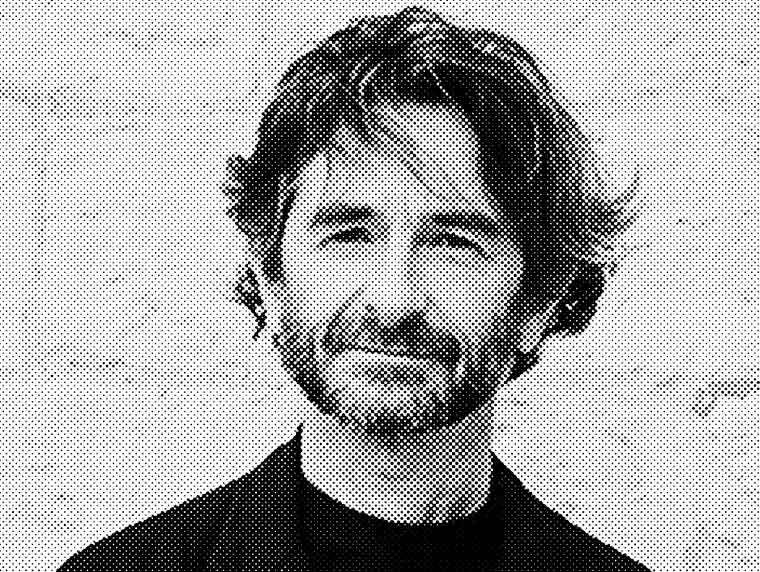 His work in architectural research and re-foundation of the language of architecture has been documented by several international publications and has been presented in major museums and art exhibitions: from the Milan Triennale (1973) to the Venice Biennale (1978, 1996, 2014), the Museum of Modern Art (1972, 2002) at the Metropolitan Museum in New York (1976). The drawings and architectural projects, together with objects of design, are part of several public and private permanent collections. In 1969 they won the Trigon Prize assigned by the city of Graz, which gave birth to an exhibition at the Galerie Nacht St. Stephan in Wien. Superstudio has been invited in 1972 to partecipate in the exhibition “Italy: The New Domestic Landscape” at the MOMA in New York, where they presented within their built “environment” the short film “Supersuperficie: a life without objects”. From 1973 to 1975 an exhibition entitled “Mindscapes” dedicated to Ettore Sottsass and Superstudio has been presented in the United States first at the Walker Art Center in Minneapolis and then at the Contemporary Art Center in Cincinnati, the Everson Museum of Art in Syracuse, at the Johnson Museum Ithaca, the Art Museum of South Texas in Corpus Christi, at the Fort Worth Art Center, the Long Beach Art Museum in Los Angeles, the Joslyn Art Museum in Omaha. In 1982 the city of Florence dedicated a retrospective exhibition at the Accademia Gallery and in that occasion a book edited by Gianni Pettena entitled “Superstudio 1966-1982” was published by Edizioni Electa. At the same time CTF edited the illustrated book entitled “Superstudio and Radicals” for Moryama editions (Tokyo, 1982). In the year 2000 Centre Pompidou acquired for its Collection a significant portion of the projects and photomontages from Superstudio Archives. In the new arrangement of the Centre in Paris in 2001 two rooms were set up with the materials of Superstudio in the floor that hosts the permanent collection of modern and contemporary art. The Design Museum in London organized in march 2003 an exhibition on the theoretical work of Superstudio entitled “A world without objects”. The exhibition then moved to New York divided in two galleries at the same time: Pratt Art Gallery and Storefront. Subsequently, the exhibition was moved to Los Angeles and then to Holland at De Vleeshal Zeeuws Museum. On this occasion Skira editions published a book called “Superstudio, a world without objects” edited by Bill Manking and Peter Lang. Since January 2000 Toraldo di Francia had transferred the “Superstudio” photographic images Archive in Filottrano in Via Fratelli Rosselli where he started the digital transferring of many images . From this translations he organizes a series of exhibitions entitled “Superstudio / Backstage” that collect 90 digital prints in A3 documenting some of the well known photomontages and a series of new images on the activities of the group. The shows begin at Cartiera Papale in Ascoli Piceno, move to the Schola Foundation in Jesi, the Centre for Contemporary Art Luigi Pecci in Prato and in 2013 to the “Pescheria” Foundation in Pesaro. The new MAXXI in 2010 acquires several drawings and lithographs of Superstudio, which after the restauration are shown in an exhibition at the MAXXI Centro Archivi, Galleria 1, in 2011.